Isn't the summer just flying by?? Is that fall I feel in the evening air? Not to dispair, we garden in every month!! September 26th is our first meeting of the season!! We will once again be meeting at the Prospect Road Community Centre. Social time starts at 7pm. Business starts at 7:30pm. 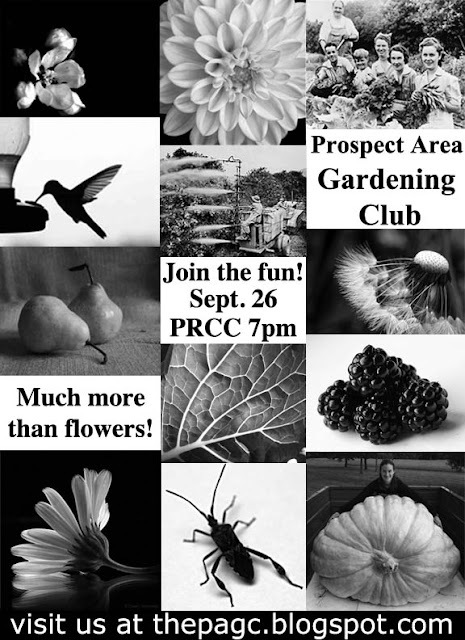 The September activities will be Registration, Garden Chatter, Social Time, picture sharing and a Swap!! Registration fees will be $20 per person or $30 per couple. We will be hosting 8 meetings this year with special guest Niki Jabbour in February and two potluck socials in November and May (see the schedule in the sidebar).